A few months after Mary Lee’s tagging in Cape Cod, Massachusetts, she appears off the coast of Jacksonville, FL. 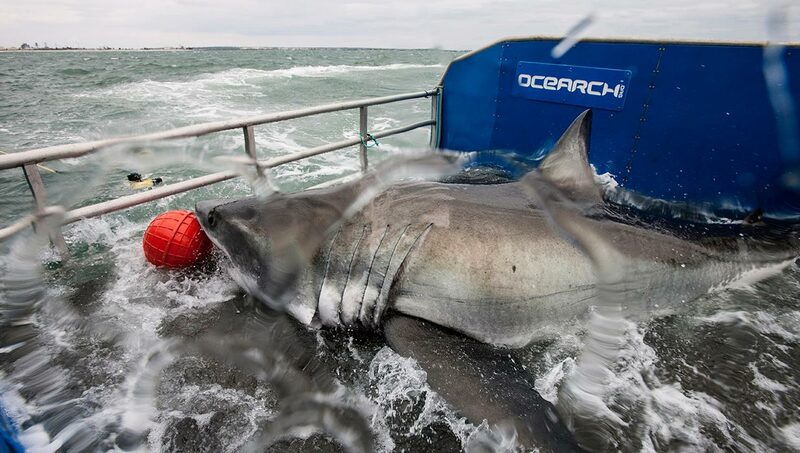 OCEARCH follows suit and launches an expedition in that same area. On the last day of the expedition, after 20 cold days at sea, the team finally catches White Shark Lydia. Since then, Lydia has made history. She is the first shark to have been documented crossing the Mid-Atlantic Ridge.